Album Review: Stoney LaRue "Velvet"
On the TV show "Seinfeld," George Costanza mentions his desire to "drape" himself in velvet if it ever becomes socially acceptable. 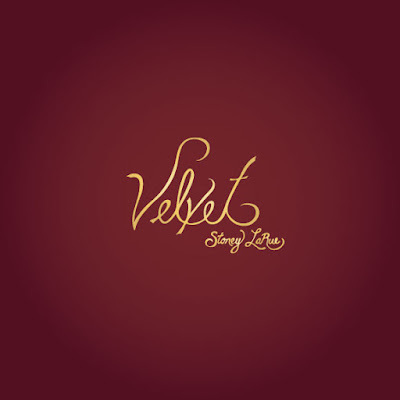 Well, George's mother can safely get out the cutting shears because Stoney LaRue has created a musical masterpiece with "Velvet" that will make you want to wrap a bolt of velvet around you and never let go. It's been six, long years since Stoney LaRue offered up his last studio album, but the famed Red Dirt star has been a road warrior with more than 250 dates a year after his successful "Live At Billy Bob's Texas" album helped him forge a road-worthy band. 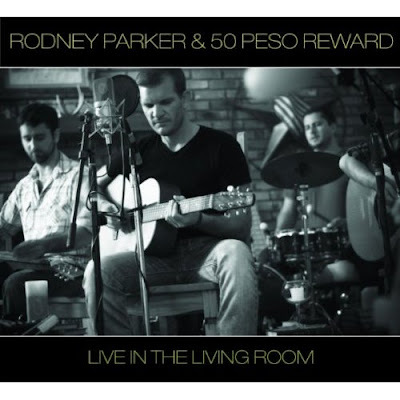 Album Review: Rodney Parker & 50 Peso Reward "Live In The Living Room"
Changing musical directions can sometimes lead to a burst of creative energy. This holds true for Rodney Parker & 50 Peso Reward in their new album - the stripped down "Live In The Living Room." Parker's fame comes largely from his stellar reputation in Texas country/Red Dirt music, but this acoustic set proves that the band could draw just as many fans from Americana and roots music. Creating an atmospheric live album that does justice to a songwriter's music and a band's long hours of practice is no easy feat, but Rodney Parker makes it look easy on the first cut "Firelight." Likewise, the easy-going "Highway Blues" is perfectly performed. So fire up the subwoofer, close your eyes and pretend that you're in the living room with Parker, 50 Peso Reward and about two dozen friends in Corinth, Texas where the album was recorded. 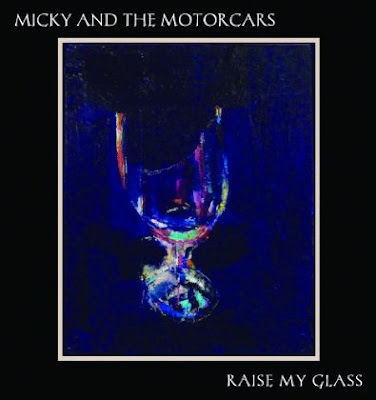 Album Review: Micky And The Motorcars "Raise My Glass"
The sixth album is the charm for the hardworking Micky And The Motorcars who don't disappoint with the eleven new cuts on the beer and whiskey-drinking celebration titled "Raise My Glass," which takes listeners on a rollicking Texas nightlife adventure that might leave you still feeling the fun in the morning. The album begins with the title track "Raise My Glass," which is a classic Red Dirt cut that fires on all cylinders. However, the next song is somewhat of a surprise. "A Thousand Tears" starts off with a new sound for Micky & The Motorcars and slowly builds to a rousing crescendo. The album's first single "Any Longer Any More" has a soaring melody and offers a tight vocal performance. It is followed by the album's biggest surprise - the tender love song "How Far I'll Go." The intense vocals and superb instrumentation allow the listener to clearly consider the thought provoking lyrics. 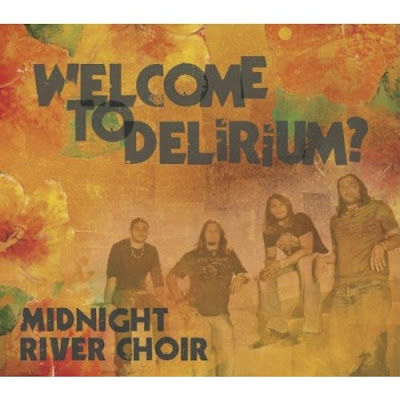 Album Review: Midnight River Choir "Welcome To Delirium"
The album "Freedom Wine" from Midnight River Choir impressed just about everyone who heard it, and now the fun-lovin' country boys are back with "Welcome To Delirium," which is just about as enjoyable as a 12:00 am river rafting trip - and, by the way, exactly where the group formed. If Gavin DeGraw and Sunny Sweeney had a love child, he might sing a song like the first track "Mile Marker," which is breezy, radio-ready song that is extraordinarily memorable. However, the band's Red Dirt vibe is resurrected with the terrific "Arms Of A Stranger," that once again showcases the band's superb vocal harmony. However, it is the quiet love song "Run Away From Me" that is the album's biggest surprise, and the tender, restrained vocals are pitch perfect. The Midnight River Choir manages to impress once again with the next cut, the bluesy rock "Take You With Me," which showcases the band's terrific instrumentation. 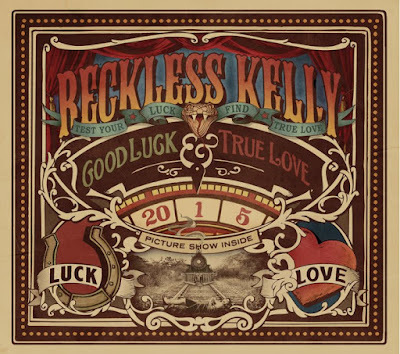 Album Review: Reckless Kelly "Good Luck & True Love"
Texas country aficionados rejoice, because the world's best Red Dirt band is bringing fans "Good Luck & True Love" with a new album. Reckless Kelly carefully planned every detail on the project, including one of the best CD packages of any country album this year. Great cover art is important, but it's the music that matters most to Reckless Kelly, and the album begins with the mid-tempo, Red Dirt anthem "Give It A Try." However, the cut "Save Me From Myself" really kickstarts the album, and the song with the melodic chorus is certain to be another #1 hit for Reckless Kelly. "Guarded Heart" is a classic country love song and features angst-ridden vocals and superb instrumentation. Indeed, it proves to be the perfect intro for the album's biggest surprise, the hard-rockin' "She Likes Money, He Likes Love," which will please concertgoers and radio program managers looking for an upbeat country hit.